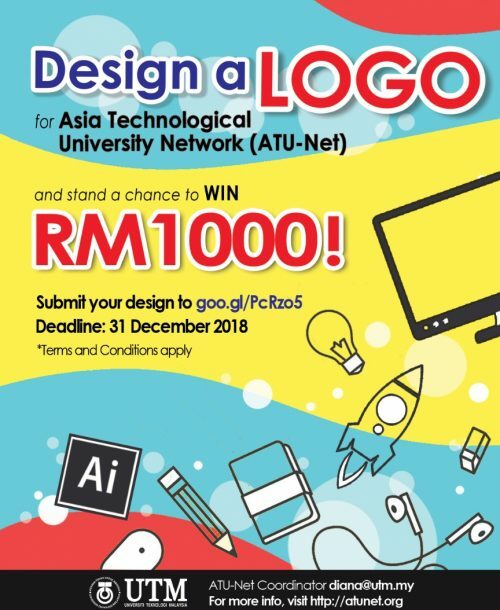 Asia Technological University Network (ATU-Net) is a strategic international alliance of which Universiti Teknologi Malaysia (UTM) is the Chair. 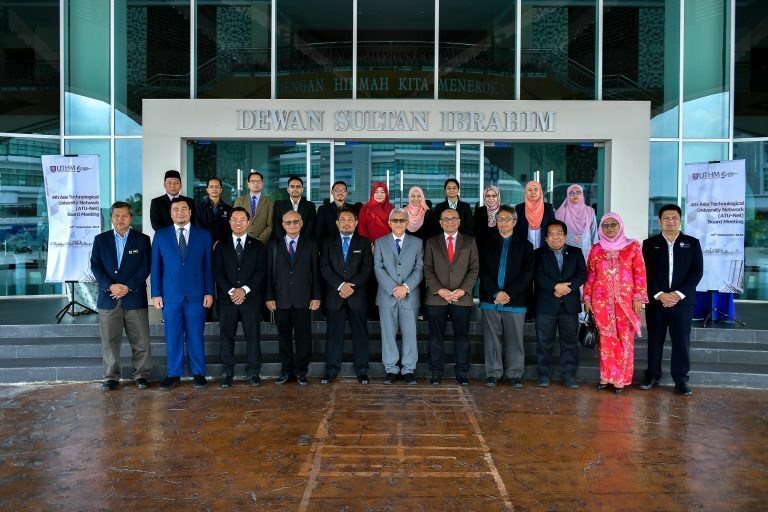 It connects higher education institutions with the focus on technology and engineering in the Asia region. As a student of ATU-Net member institution, you have the opportunity to participate in activities or programmes offered within the network. This provides an exceptional opportunity to improve your professional skills and knowledge, make new contacts and friends, and experience different environments and cultures. Activities include competitions, camps, and other mobility programmes. If you have any inquiries on the activities, you may contact the person-in-charge stated in the URL/brochure given. Alternatively, you may contact ATU-Net focal person of your institution or ATU-Net Secretariat. Description: This programme aims to provide guidance and training in entrepreneurship to participants, especially in pitching process, to enhance their skills in delivering important business information and ideas to potential investors. It entails training and activities involved in managing/owning a real business. It also includes competition with great prizes to win. Specifically, participants will put into practise the key concepts of innovation in research and business, including practise in commercialising their research results. Participants will utilise Design Thinking in developing their business plans, skills in entrepreneurship, particularly in learning to do effective marketing, understanding customer needs, and market valuation.
.: Download brochure : Register HERE :. 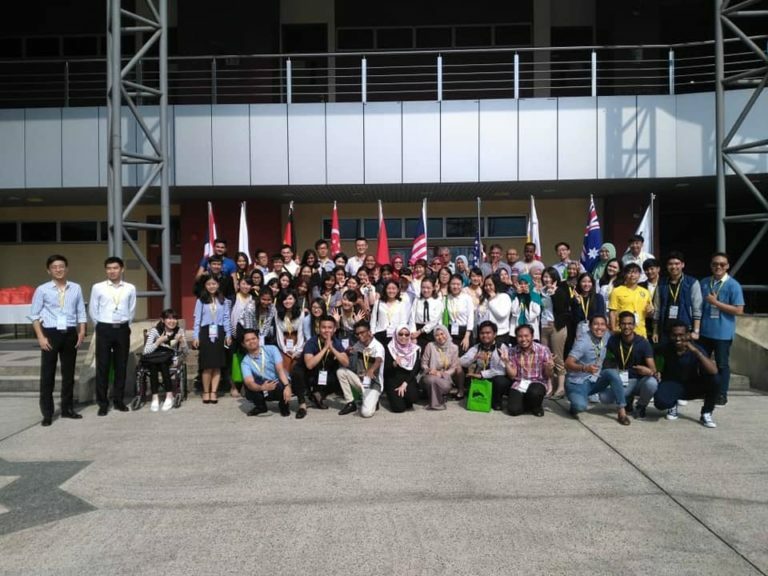 Description: UTM SEED 2019, Malaysia is a unique student-centered and socially responsible learning initiative, requiring students to work together in international and multicultural teams to converge, interact and conduct on-site research in a real-life context of a marginalised rural community for development of business plans. Through UTM SEED 2019, Malaysia, participants will be immersed in off-campus cross-cultural learning settings in the marginalised village at Tanjung Surat Island, Johor Malaysia. The guided interaction with the locals as well as discussion with community leaders shall give the participants basis for developing feasible action plans for the development of socioeconomic of the targeted community. The viable enterprise plans will be presented to a panel of experts, social entrepreneurs, and community members. Description: This programme is an introductory course to the Internet of Things hardware and software development. This course is designed for participants with non-electronic academic background but who are highly interested in electronics. 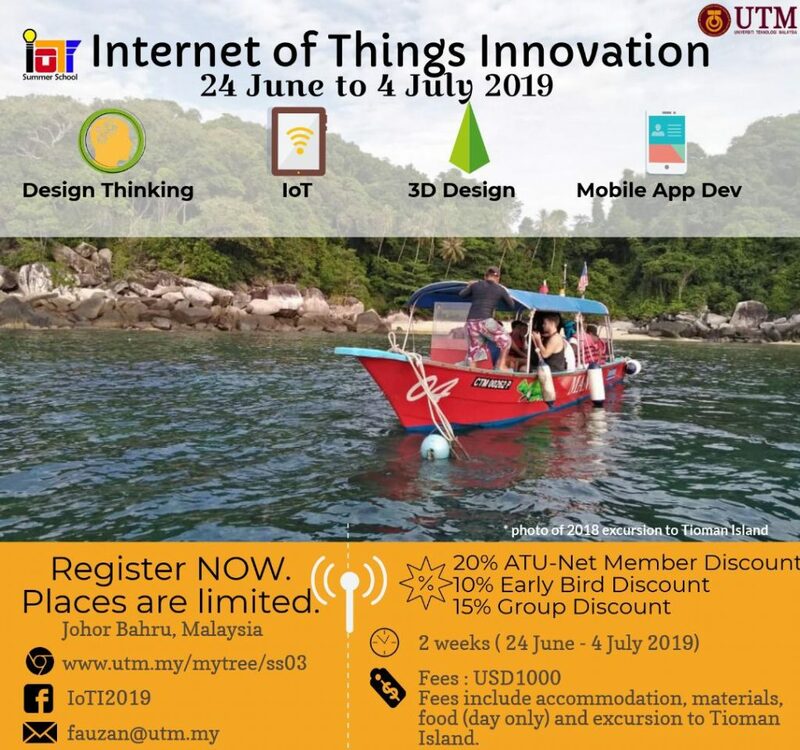 In the programme, participants will learn and practise basic concepts behind the internet of things and sensors, write simple programme to use various sensors, and write mobile apps programme with MIT App inventor to control the transducer. Description: This programme is a 3-month long challenge through collaborations among students and lecturers in multidisciplinary environments, to nurture 5 competencies: Talent Competency, Multidisciplinary Competency, Viable Business/Entrepreneurship Competency, Multicultural Competency, and Social Consciousness Competency. In particular it provides the contexts where participants can (1) enhance their skills to function effectively as an individual, and as a member or leader in diverse teams and in multidisciplinary settings; and (2) demonstrate their knowledge and understanding of engineering management principles and economic decision-making. Note: This option is for ATU-Net member institutions only.